North American equity markets snapped back in the third quarter as risk assets correctly anticipated another round of quantitative easing policy from the US Federal Reserve Chairman, Ben Bernanke. The S&P/TSX Composite Total Return Index rallied 7.0% while the S&P 500 Total Return Index gained 6.4% in US dollars. 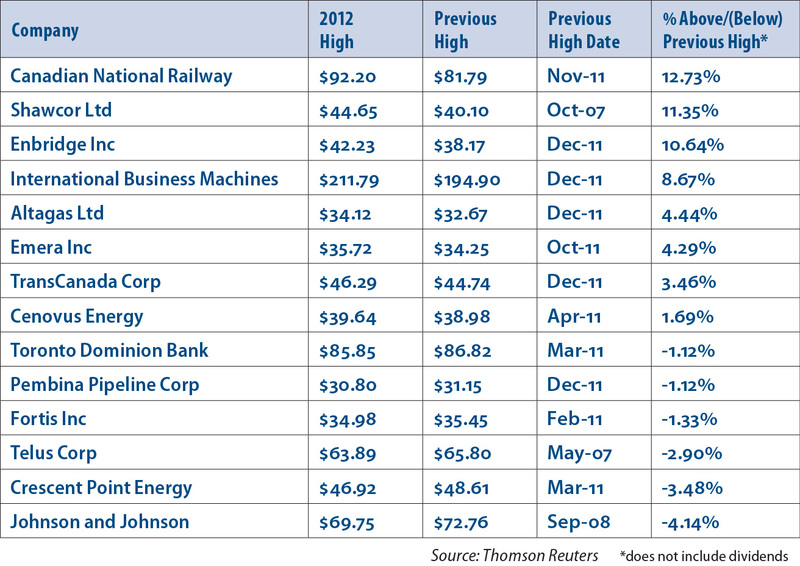 Last quarter, we questioned whether the second half of 2012 would play out more like 2010 or 2011. Both markets are now well into positive territory year-to-date. It appears 2012 will more closely resemble 2010, when policy responses from governments and central banks fuelled a strong second half for equities. The third quantitative easing announcement (QE3) from the US Federal Reserve, along with a similarly open-ended commitment by the European Central Bank, brought cheer to the equity markets. Pundits are dubbing the US program, directed primarily at US mortgages, as “QE infinity,” due to its open-ended nature. We hope the infinite nature of this program will curb the volatility that results from fast-money managers trying to “time” prospective Fed moves, and allow the market to focus on what continues to be solid corporate performance. The QE3 announcement was also accompanied by a renewed commitment to keep short-term interest rates at effectively zero until well into the middle of the decade. This will limit the Bank of Canada’s ability to respond to the growing indebtedness of Canadians through higher administered rates. We are cautious of the long-term impact of extremely low rates and, as a result, continue to believe equities offer the best opportunities for investors going forward. Unfortunately we are not optimistic these policy announcements have done much, if anything, to solve the long-term structural problems of the global economy. While investor sentiment has improved dramatically in the last three months, we do not believe this is anything more than a reversion from the overly negative sentiment seen in the spring. Leon Frazer remains consistent in its view that the economy’s recovery process will be very slow and choppy, with a market that reflects that uncertainty by impatiently speculating both positively and negatively at times. We believe the Canadian market is in a trading range between 11,000 and 13,000, and the steadily rising trend that started in the second half of 2009 will continue. Despite a Canadian market that remains over 10.0% below its 2008 high, dividend- paying Canadian companies have performed admirably during the last 5 years. 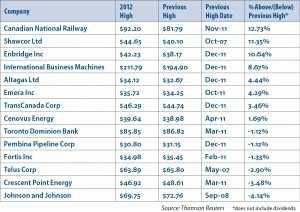 In fact, several of our holdings have reached or come very close to new all-time highs this year. We are keenly focused on the long-term trend of our companies to steadily increase dividends, with their share prices following suit. As we stated in our most recent edition of Market Perspectives, the dividend growth of our clients’ holdings so far in 2012 is on track to meet or exceed the level reached in 2011, the best year for dividend growth in our portfolios since the financial crisis in 2008-09. We remain confident in our ability to generate solid returns for clients during this continuing period of lacklustre growth and economic uncertainty by adhering to our decades long investment process of compounding a growing stream of dividend income.